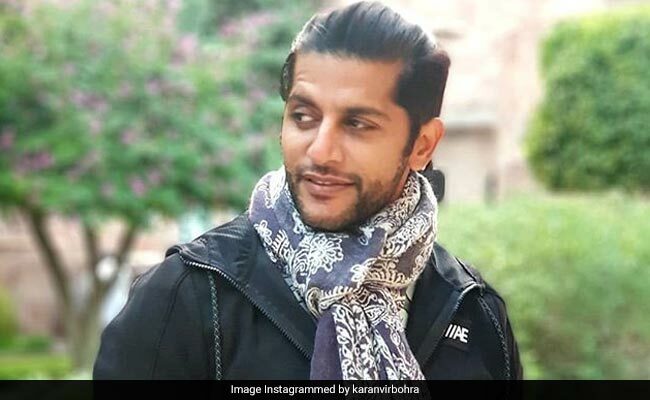 Karanvir Bohra tweeted: "Waiting at the Moscow airport because my passport is a little damaged"
Actor Karanvir Bohra, who participated in the 12th season of reality television show Bigg Boss, tweeted on Wednesday that he has been detained at the Moscow airport for passport damage. The 36-year-old actor, who travelled to Moscow to be part of the MacCoffee Bollywood Film Festival, wrote on Twitter: "So bummed. Waiting at the Moscow airport because my passport is a little damaged. 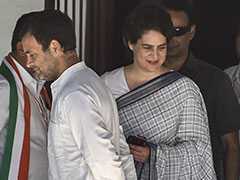 They are contemplating to deport me back to India. Indian Embassy Moscow, wish you would have told me that prior to issuing me the visa." Karanvir's tweet drew a prompt response from the Indian Embassy in Moscow, who wrote: "Embassy officials are in touch with Russian authorities regarding the issue." 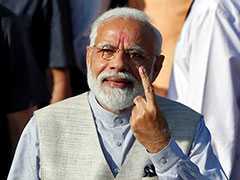 They contemplating to deport me back to India. @IndEmbMoscowRus@IndEmbMoscow i wished you would have told me that prior to issuing me the visa. Karanvir has been at the Moscow airport for several hours and the Russian and the Indian embassies are reportedly trying their best to get the problem sorted, a source told news agency IANS. "After Karanvir reached Moscow, it was noticed by the Russian immigration officials. While Karanvir has been at the airport for the last four hours, we hear that the Russian embassy, the Indian embassy and a lot of other people are working towards getting the issue sorted and having Karanvir enter the country and attend the festival he was originally there for," IANS quoted the source as saying. Karanvir's wife Teejay criticised the laxity of the Indian authorities and wrote: "Indian authorities need to resolve these legal issues before a citizen to leaves India. Other countries are often strict with security protocols. What is one supposed to do after landing in a foreign country?" Several other celebrities like Dabboo Ratnani, Hina Khan and Rajesh Khatter reacted to Karanvir's tweet and wrote that the authorities will "definitely clear out" the matter. Ali Asgar in his tweet urged Indian Embassy in Moscow to help his friend in distress. "Indian Embassy Moscow, please help my friend to proceed for his shoot," the actor wrote. On the work front, Karanvir Bohra will be next seen in Hume Tumse Pyar Kitna, which is expected to release later this year.